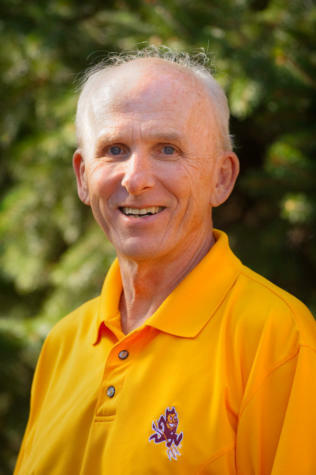 ASU professor emeritus Chuck Corbin, a trailblazing physical education scholar, has been awarded the 2016 Lifetime Achievement Award from the President’s Council on Fitness, Sports and Nutrition. Corbin is best known for his fitness education programs. He has been called the “father of fitness education,” by Steve Virgilio, a colleague in the exercise sciences who teaches at Adelphi University. From 1982 through 2001, Corbin was a professor in the Department of Exercise Science and Physical Education on the Tempe campus before moving to the Polytechnic campus and then to the School of Nutrition and Health Promotion on the Downtown Phoenix campus. At all units, his teaching focused on exercise, wellness and physical education. For 20 years prior to that, he held university teaching positions in New Mexico, Ohio, Texas, and Kansas. Corbin was a high school athlete, which he said got him thinking about fitness at an early age. Prior to college he was a playground director and youth sport coach. In the late 1950s he collected physical fitness data for the first national youth fitness test as an undergraduate at the University of New Mexico. He used the fitness test while teaching elementary school physical education in Albuquerque. Later he studied under University of Illinois-Champaign fitness pioneer Dr. T.K. Cureton while earning his Master of Science degree in the early 1960s. The effects he saw of exercise and physical activity on health and effective functioning, Corbin said, drew his interest to physical education and research on fitness, health and wellness. Corbin said he appreciated John F. Kennedy’s focus on physical fitness during his campaign and administration. When Kennedy was assassinated in 1963, Corbin's enthusiasm for health fitness became his mission. While working on his doctorate, he conducted the fitness testing for the University of New Mexico Peace Corps volunteers in one of the first training centers. In 1966, the performance-based Presidential Physical Fitness Award was created under President Lyndon B. Johnson. As he studied the field more, however, Corbin began to question the efficacy of youth fitness tests and the awards program. Over the years he conducted many research studies on the topic, often with ASU colleague Bob Pangrazi. “We needed to excite young people about getting and staying fit and healthy, not demotivate them with an all-or-nothing award that only practiced athletes can earn,” Corbin said. He is proud of the fact that his research has led to the new fitness tests, and changed how current awards are given. Current tests focus on fitness for health, and awards focus on regular participation in physical activity. Corbin was a charter member of the FITNESSGRAM® Scientific Advisory Board that developed the test now adopted as part of the Presidential Youth Fitness Program. He has published more than 200 scholarly papers and authored/co-authored/edited more than 100 books. Corbin’s Fitness for Life textbooks have won awards for excellence at all levels, elementary, middle and high school. His college text Concepts of Physical Fitness, also an award winner, is now in its 17th edition. In a world where competition for kids’ attention comes from cell phones, video games and computers, Corbin says there is still a way to promote physical activity and a path to a healthy lifestyle.